Sometimes, winning a Best Female R&B Vocal Grammy is cold comfort. At least it was to Fantasia Barrino, who refused to attend the awards show because she was left out of the Aretha Franklin tribute. "They were honoring someone who was my idol, and there is no way I could have sat there and not got the happy feet and wanted to jump on the mic because she is my favorite," Barrino told BET's "106 & Park." "I felt like, you know, at the end of the day I should have been on that stage." Instead, the tribute was conducted by Christina Aguilera, Jennifer Hudson, Florence Welch, Martina McBride and Yolanda Adams. 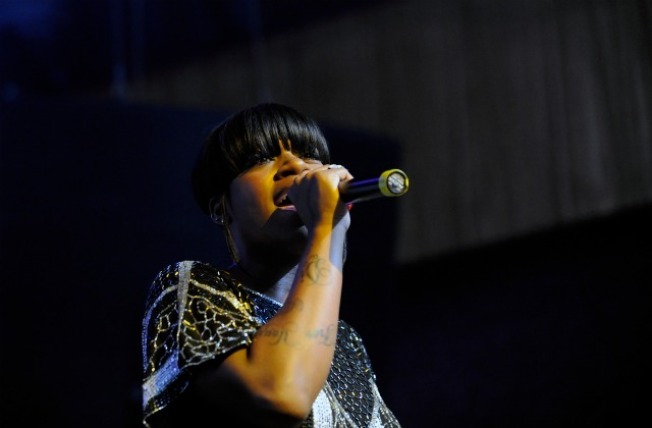 Barrino had wracked up 11 Grammy nominations during her career, but this was her first win. She goes on to tell "106 & Park" that she stayed home and cooked on Grammy night.